News | Messer Caparello, P.A. .
Messer Caparello, P.A., is pleased to announce that a third of its attorneys practicing in its full-service Tallahassee firm have been named 2016 “Super Lawyers” by Super Lawyers magazine, including Shareholders Dominic M. Caparello, Mark Herron, William P. Dillon, Robert J. Telfer III, and Gigi Rollini. Associate Melanie R. Leitman has been named a Super Lawyers “Rising Star.” Super Lawyers names less than 5% of Florida’s attorneys “Super Lawyers” each year. Selection is through a competitive process of peer review and independent research into professional achievement, credentials, competence, experience, professional activity, pro bono work, honors, and recognitions. Gigi Rollini is a litigator with a focus on Florida appeals, civil and administrative litigation, and all aspects of Florida Administrative Law, including agency licensing and discipline, corporate and non-profit regulatory compliance, policy and rulemaking, administrative complaints, rule challenges, government contracts and bid protests. In addition to her J.D., Ms. Rollini earned a Master of Public Administration (M.P.A.) from the Florida State University Askew School of Public Administration and Policy. In a recent case – State of Florida, Department of Economic Opportunity v. Consumer Rights, LLC – the First District of Appeal reversed the trial court’s award of attorney’s fees under Florida’s public records law, because the party seeking the public records failed to give notice of the claim for attorney’s fees to the Department of Financial Service at the time it filed the complaint pursuant to Section 284.30, Florida Statutes. Accordingly, the Court concluded that the notice requirement of Section 284.30 was a condition precedent to the award of attorney’s fees and reversed the award of fees in this case, despite a finding by the trial court that the agency had “unjustifiably delayed in producing the records” in violation of Chapter 119, Florida Statutes. A motion for rehearing has been filed with the Court. Messer Caparello, P.A., is pleased to announce that three of its attorneys practicing in its full-service Tallahassee firm have been named 2015 “Legal Elite” by Florida Trend magazine, including Managing Shareholder Thomas M. Findley and Shareholders William P. Dillon and Gigi Rollini. Florida Trend magazine names less than 2% of Florida’s practicing attorneys “Legal Elite” each year. The attorneys selected “exemplify a standard of excellence in their profession and by so doing, have garnered the respect and esteem of their colleagues,” according to Florida Trend. Thomas Marshall Findley is the Managing Shareholder of Messer Caparello, P.A. Mr. Findley is a former federal prosecutor who handles white collar criminal defense and regulatory matters. He also handles complex civil litigation at the trial and appellate levels, including employment defense and tax litigation. Mr. Findley formerly served as a law clerk for the Honorable Joseph Hatchett, United States Court of Appeals for the Eleventh Circuit. It is with great sadness that Messer Caparello announces the passing of its founding and senior partner Elliott Messer. Elliott’s wisdom, insights, storytelling, and passion for the law will be sadly missed by us all. 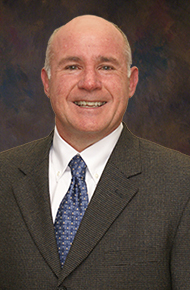 Bryan W. Duke, former Assistant General Counsel for the St. Joe Company, joined the firm effective January 1, 2011. Bryan brings over 25 years of experience to his practice which will focus on the areas of real estate transactions, land use, permitting and litigation. Bryan is a graduate of Davidson College and the University of Florida, College of Law. He began his legal career in Fort Lauderdale as a litigator with a focus on commercial and construction litigation. He participated in jury and non-jury trials and handled a number of appeals. After eight years of private practice, Bryan took the position of General Counsel with Stiles Corporation in Fort Lauderdale. At Stiles, Bryan worked on every aspect of project development: property sales and acquisitions, development and architectural agreements, and commercial retail and office leases.